A major reconstruction of East Rosedale Street in Fort Worth, Texas, coupled with improvements planned at Texas Wesleyan University (including a new conference center to house the Central Texas Conference Service Center), aims to transform the Polytechnic Heights neighborhood in southeast Fort Worth into a thriving corridor. "There's a lot of excitement," university President Frederick Slabach said of the projects, called the Rosedale Renaissance. 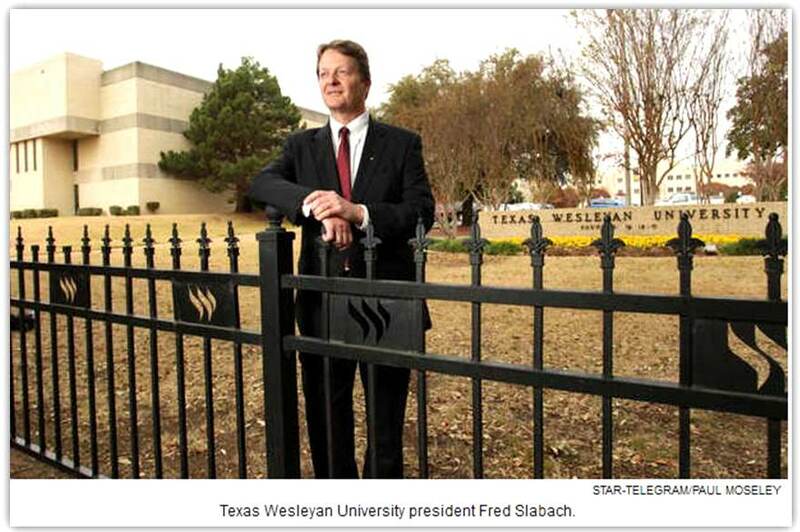 “It's important for Texas Wesleyan. It is also extraordinarily important for southeast Fort Worth. This is the kind of catalyst that can really change a neighborhood." The centerpiece of the project will be a $1.3 million entryway for the school that will include a clock tower and horseshoe-shaped parking. That part of campus, at East Rosedale Street and Vaughn Boulevard, is now closed to traffic by a decorative iron fence. The area's new look will be reminiscent of a college town with turn-of-the-century accents. Kiosks that document the history of Polytechnic Heights will also be built. While the entryway may be the centerpiece of the Rosedale Renaissance project, its Texas Wesleyan’s plans to build a $3 million conference center that has captured the attention of the Central Texas Conference (CTC), as this will serve as the new home for the CTC Service Center. The 15,000-square-foot conference center planned for Texas Wesleyan will sit on the south side of East Rosedale. While it will be used primarily by the Central Texas Conference, which will lease the facility, pre-ministerial students will prepare for seminary studies there, officials said. The university also plans to convert a historic building that once doubled as Polytechnic Heights' City Hall and fire station into a Business Incubator Center, allowing students to intern with and offer consulting services to area business owners, Slabach said. M.L. Gladney Jr., a student who recently earned a master's degree in counseling at Texas Wesleyan, said investing in the neighborhood sends a strong message to youngsters growing up in Polytechnic Heights. "It's the idea of seeing something grander," Gladney said. "For young people, it gives them the idea that they can be a part of it." The timeline for adding the conference center and business incubator isn't finished, according to Texas Wesleyan. 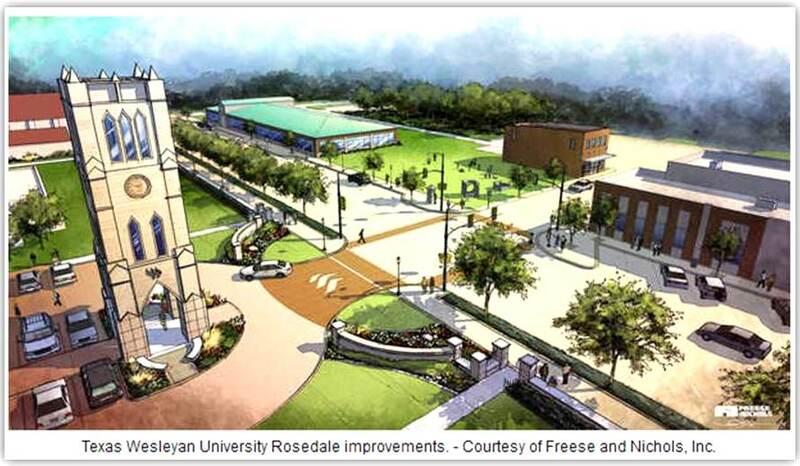 The entryway, which should be completed by the end of 2014, will complement the reconstruction of a two-mile stretch of East Rosedale next to Texas Wesleyan. Please visit star-telegram.com to read the original Fort Worth Star-Telegram article and see more photos.